Brown maple, quarter sawn oak, walnut, cherry, and North American ash are among the best hardwoods that are used on natural wood bed frames. These hardwoods are known for their stunning grains, too. Manufacturer’s hand-sand the wood for a fine finish, and an organic stain can be applied to most beds.Or you can leave it unfinished. Is a scuff mark appears then just take a piece of fine sandpaper and get it off. Simple as that. A solid construction ensures durability and longevity. To make this more possible, manufacturers choose metal on metal connectors for easy assembly and excellent strength. The slats are robust, too. The Amish are among the best woodworkers around. 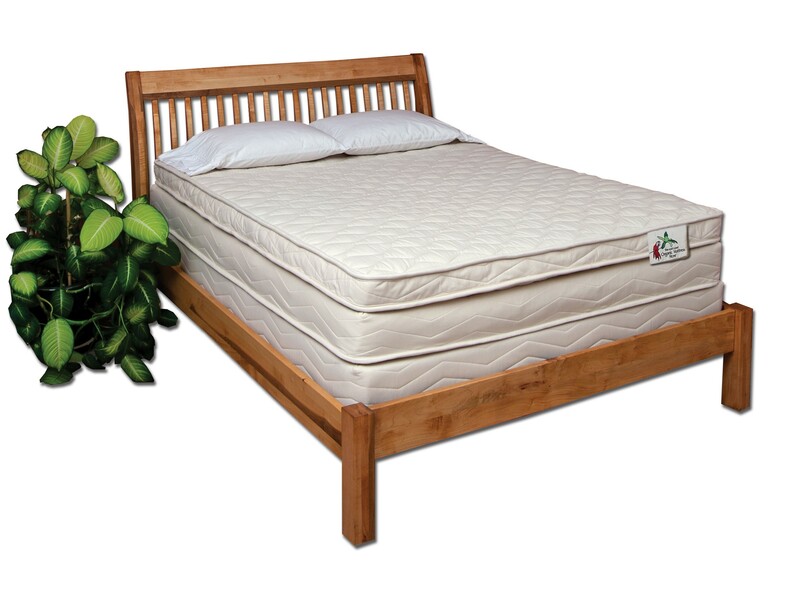 They make the highest-quality natural wood bed frames, which are exclusively sold by reputable suppliers in the US. Setting up a natural wood bed frame should be easy, so you can do it yourself. Likewise, it must be easy to disassemble and pack up, in case you are moving. Natural wood bed frames come in different heights depending on their thickness and if you want a headboard. For instance, a platform bed may be two, four, or eight inches thick, and it sits low to the ground in case you want an Asian-inspired room, or you simply want a mattress without an innerspring or wood foundation. A two-inch foundation may be suitable for very young children who are transitioning from their crib to a regular bed. Older people might appreciate an eight-inch high foundation, because its easier to get in and out of bed.